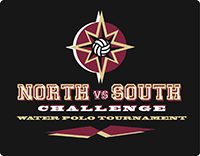 Friday/Saturday: Participants and spectators should enter through the Park Lane campus gate and park in either the “SHS Lower and Middle Schools lot” or the Aquatics Center Lot. If the lots are full, please park on Park Lane (East direction only – this is the side closest to the pool) and enter through the pedestrian side gate. The Dunlevie Aquatic Center is located across from the soccer field. Important: Saint Francis HS is in session on Friday until 3 PM. To avoid disrupting classes, all team vans, players, coaches, and fans must stay off of the main part of campus until school is over. Saturday: Park anywhere on campus. This site is managed and maintained by Sacred Heart Schools, Atherton, which was founded by the Society of Sacred Heart, and is a Catholic, independent, co-ed day school for students in preschool through grade 12.